Online payments and delivery solution CheckMeOut welcomes its newest partner, M Lhuillier, as it expands its network of services all over the country. CheckMeOut, in partnership with M Lhuillier, makes it easier for sellers to drop off their items and have it delivered to their buyers. For a minimal processing fee of P25, any CheckMeOut seller can go to a participating M Lhuillier branch and present their item with the corresponding CheckMeOut tracking number. 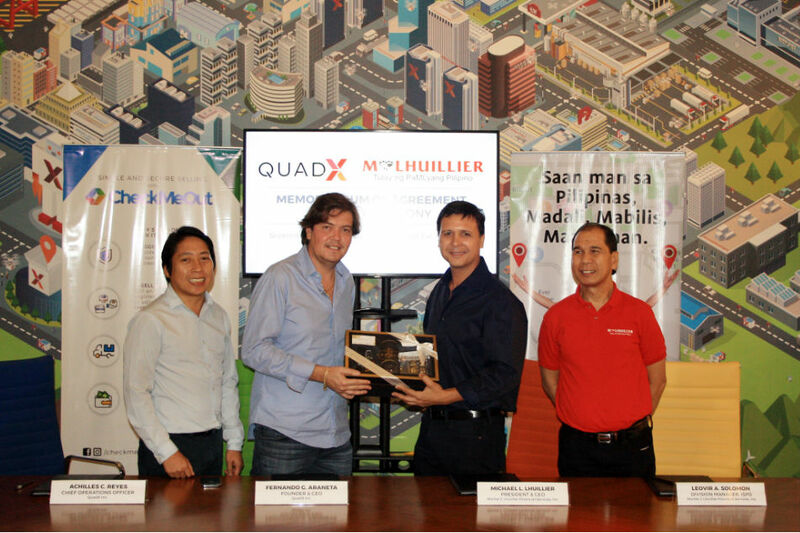 M Lhuillier will then accept and prepare the item for delivery anywhere in the Philippines. Mia Bulatao, the Chief Commercial Officer and COO for Cross-border and Payments of QuadX Inc. said, "Success is often attributed to being in the right place at the right time. These are opportunities we never take for granted and our M Lhuillier partnership allows us exactly that, to be in places that our customers may find themselves in at a time convenient to them." With the collaboration of CheckMeOut and M Lhuillier, Filipino buyers and sellers can have an even more enjoyable online shopping experience from check out to delivery. To create your FREE CheckMeOut account. Sign up here.